Our arrangements for Paranoid can be seen below. 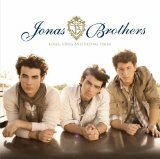 This track was performed by Cathy Dennis, Joe Jonas (also known as Joseph), John Fields, Kevin Jonas II, Nick Jonas (also known as Nicholas Jerry). In order to see the sheet music for Paranoid please click on the preview button next to the score you are interested in. If we have arrangements for a variety of instruments, but you would like to only see the scores we have for one specific instrument, then please alter the selection accordingly in the section just below this paragraph. Should you like to leave a review for any of our scores, then please go to the section marked "Comments" and you can write your own review there. If you are on Twitter or Facebook, and you would like to tell your friends about this piece of music, then please navigate to the share icon where you can choose from a variety of social media platforms to share this song. You can choose from 3 arrangements for 5 instruments for the composition Paranoid.